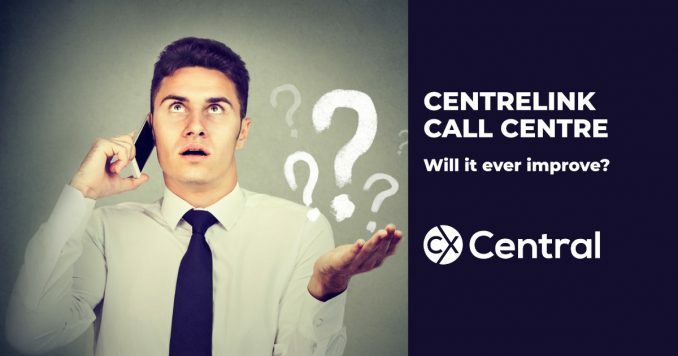 Have you ever had to ring the Centrelink call centre? Despite practically everyone in the country either personally or through a close friend/colleague having a horrendous experience in trying to call Centrelink, we regularly hear the Government refer to statistics that seem to be very different from what the majority of Australians experience. In a Senate Estimates committee on 2 March 2017, we may have finally got to the bottom of why they were reporting surprisingly short average wait times. If a person spends a long time listening to the hold music but has to hang up before they get anywhere  or if the agency hangs up on them  the call is recorded as abandoned, and the time spent waiting does not contribute to the average either. Did things get better in 2018? Between July 1 last year and March 31 this year, 36.3 million calls had been met with a busy signal, down from 37.4 million calls in the same time period 12 months earlier. That’s still terrible. Even when you do get through, of the 23.379 million calls that were answered (or handled by a robot), 4 million callers still hung up in frustration after waiting too long. Average wait time on calls had increased between March 2017 and March this year, from 15 minutes and 44 seconds up to 15 minutes and 56 seconds. It’s not just calls either – processing times for payment applications have also gone up with it taking 49 days on average for an age pension application to be approved and 47 days for a carers payment up from 36 and 28 days respectively in 2016-2017. 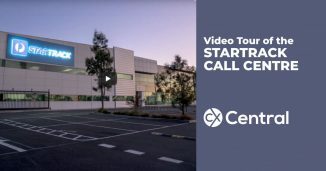 Is the Centrelink Call Centre going to improve in 2019? The new Minister for Human Services and Digitial Transformation, The Hon Michael Keenan MP, was appointed in August 2018 although if recent politics is anything to go by, we’ll probably have a new one in a few more months. Meanwhile, Centrelink paid American Call Centre Consultant Brad Cleveland $430,000 to provide a series of recommendations that are currently being implemented. Don’t get me wrong, Brad is a smart and knowledgeable guy with a great reputation (and a good presenter) but it’s pretty sad our own Government couldn’t engage some local consultants and support our own industry. The Government has also thrown a bunch of extra funding to call centre outsourcers with another 1,500 staff added in August 2018. This will go some way to helping to handle additional volumes and is a boost for the outsourcers involved. Clearly though, for the customer, it’s still a terrible experience for any customer trying to connect with Centrelink. But you’ve also got to feel for the contact centre staff who no doubt are the on the frontline of the customer’s fury all day every day. Let’s hope they get it sorted soon for everyone’s sake. Use our Call Centre Calculator to determine how many call centre agents you need to answer calls. Need to contact the Centrelink Call Centre? There are lots of different numbers depending on the service you need. Visit this page on their website for a list of all Centrelink phone numbers. A transfer to a new line becomes a new inquiry, and as such, the clock would start again, – this is standard. ACD reporting suites measure time a call is in a queue – they do not track the entire journey one caller may go through. The customer calls and enters a queue – the system times how long they stay there until the call is answered (or abandoned). If the call is transferred to another queue then yes, the clock would start again. 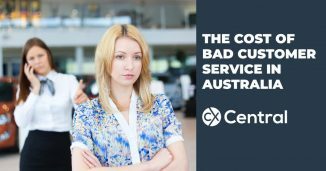 This is not fudging the numbers (or if it is, pretty much every contact centre is guilty of the same). Rather the question that might need to be answered is why a large number of calls need to be transferred. ” the call is recorded as abandoned, and the time spent waiting does not contribute to the average either” – again this is normal. The stat is Average time to answer – and so the time spent waiting by calls that are answered is divided by the number of calls answered. The system would no doubt also produce an average time to abandon figure. Neither of these situations is manipulating data – it is reporting data in the same way it is produced by every call centre I have seen (which is a lot). As for engaged signals and abandoned calls – yes these numbers sound very high, but we need to know CentreLink’s total call volume for some context. 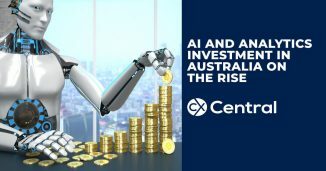 Now I am not a shill for CentreLink – I have heard all sorts of horror stories from friends and family who need to call them – and when they are ready to fix the problems, my firm Optima WFM can certainly help.